Alfa Romeo increased sales by nearly 30% last year, making it Europe's fastest-growing brand, largely because of brisk demand for its first SUV, the Stelvio. Alfa Romeo, Suzuki, Toyota and Seat were the biggest winners last year among brands sold in Europe, where overall vehicle registrations rose 3.3 percent to 15.63 million according to industry association ACEA. The growth trailed 2016's increase of 6.5 percent; however, Europe's continuing recovery from the last recession exceeded the expectations of analysts and even the automakers, most of whom had forecast growth of no more than 1 percent to 2 percent in 2017. Stronger-than-expected economic indicators in the eurozone helped to offset a 5.7 percent sales drop in Britain, Europe’s second-largest vehicle market, as uncertainties about the effect of Brexit continued to weigh on buyers’ minds. Sales were also helped by robust growth in several markets, including Italy and Spain, which are still rebounding from the recession and 2012-13 capital debt crisis. The Italian market rose 7.9 percent after 16 percent growth in 2016, closely followed by Spain, which saw growth of 7.7 percent in 2017 after rising 11 percent in 2016. France, Europe's third-largest market, outpaced overall growth, rising 4.7 percent. The increase in Germany, 2.7 percent, trailed the other major markets, but it remained Europe's biggest market with a volume of more than 3.4 million. The decline in Britain was not as large as some analysts had predicted. "Following the vote in June 2016 to leave the EU, there were some scary numbers forecast," said Ian Fletcher, principal analyst at IHS Markit in London. "There’s still some room for growth" in 2018 in Europe, Fletcher said. "Some markets were really hammered during the 2012-13 crisis and are still in recovery." However, analysts believe that a continuing slump in British sales in 2018, with predictions of up to 8 percent, could nullify increases elsewhere. IHS is forecasting overall growth in Europe to be just 1.25 percent. "Automakers will be fighting hard to get customers," Fletcher said. "No doubt incentives will become a big thing again." Across the board, economic indicators in the eurozone were positive in 2017. Unemployment fell to just above 9 percent from 10 percent; GDP grew 2.2 percent compared with 1.8 percent in 2016; and inflation remained low at 1.5 percent, the European Commission reported. Consumer confidence -- in both the eurozone and Europe as a whole -- reached levels not seen since the early 2000s, the OECD reported. New SUVs and crossovers drove growth at the four brands that gained the largest percentage of sales last year. Alfa Romeo was the fastest-growing volume brand in Europe, with sales up 30 percent to 85,691. 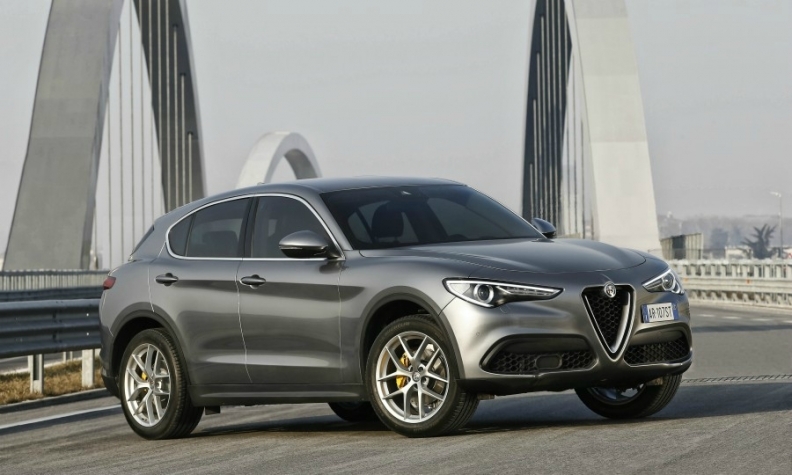 The gain of 19,524 sales was attributable to the introduction of the company’s first SUV, the Stelvio, and the full-year availability of the Giulia sports sedan, which debuted in mid-2016. Alfa Romeo sales also grew 17 percent in 2016, but the totals have fallen short of ambitious sales goals set by Sergio Marchionne, CEO of Alfa Romeo parent Fiat Chrysler Automobiles. "We can see, even if it's still a small number, that Alfa Romeo is finally growing," said Felipe Munoz of JATO Dynamics. "It's a consequence of having two more models. But we can see that the growth is not enough." Alfa is in the midst of its fourth revival bid since Marchionne joined the company in June 2004. The 5-billion-euro turnaround plan presented in 2014 targeted 400,000 global sales by 2018. That plan was revised in 2016, at which time Marchionne said the sales goal would be pushed to 2020. Even with the delay, reaching a volume of 400,000 vehicles is considered ambitious for a brand that sold fewer than 120,000 units worldwide last year. Suzuki continued its upward momentum in Europe, with a gain of 21 percent to 244,877 units, driven by the Ignis small car, which the company calls an "ultra-compact SUV." Suzuki sales also grew 12 percent in 2016. "The Ignis is a well-made car and not very expensive," Munoz said, describing it as "a car that meets European customer expectations." Seat, Volkswagen Group’s Spanish brand, ranked third with a sales increase of 14 percent, helped by the first full year of sales for the compact-sized Ateca, the company's first SUV. Toyota's newest crossover, the C-HR, drove Toyota's 13 percent growth last year. More than 100,000 C-HRs were sold in Europe in the car's first year on the market. Sales rose at 21 of the 33 brands (excluding Renault's Alpine sports car brand but including its Russian subsidiary Lada) tracked by ACEA. Sales fell at 12 brands, with the biggest losses at PSA's near-premium DS brand, down 30 percent; Honda, which lost 12 percent after gaining 21 percent in 2016; and Lancia/Chrysler, down 9.6 percent. Europe's highest-volume brands reported mixed results. Volkswagen, No. 1 by unit sales at 1.7 million cars, lost 0.9 percent. In contrast, Renault, at No. 2, grew by 4.5 percent to 1.15 million, although it released few new models in 2017. Ford held steady at No. 3, despite a drop of 0.3 percent. PSA Group now has the No. 4 and No. 5 selling brands in Europe. Opel/Vauxhall, which it acquired last year from General Motors, fell 6.1 percent to 932,718 units; Peugeot grew 7 percent to 925,113. Among premium brands, sales at Mercedes-Benz rose by 6.4 percent, after growing 14 percent in 2016. Sales were nearly flat at BMW (+0.5 percent) and Audi (-0.5 percent). By virtue of its purchase of Opel/Vauxhall, PSA was Europe’s fastest-growing group, with sales rising 28 percent to 1.88 million for a market share of 12.1 percent, compared with 9.7 percent in 2016. Toyota Group increased sales by 12 percent, though Lexus slipped by 0.7 percent. Renault-Nissan, with the addition this year of the Mitsubishi brand and a 12 percent surge at budget brand Dacia, grew 5.2 percent and increased market share to 14.8 percent from 14.5 percent. Hyundai-Kia, at 5.8 percent; FCA, at 5.2 percent; and Daimler, at 5 percent, outpaced the market. VW Group remained No. 1 by a wide margin, with 3.71 million unit sales, but grew just 2.1 percent. Its market share held steady at 24.1 percent. This story is from Automotive News Europe's next monthly magazine, which will be available to read on our iPhone and iPad apps.You can download the new issue from Monday as well as accessing past issues by clicking here. A closer look at 2017's year-end figures reveals several interesting facts and trends. The second-fastest-growing brand in Europe was actually Lada, at 29 percent, but it sold only 5,167 vehicles in a limited number of countries. Renault says it tries to avoid selling Lada and Dacia models in the same country. The biggest increase by volume was at Toyota, which gained nearly 80,000 sales. On the country level, growth was highest in Eastern Europe, with Lithuania up 27 percent, Hungary up 20 percent, Bulgaria surging 19 percent, Croatia up 17 percent and Poland, Europe’s seventh-largest auto market, gaining 17 percent. In contrast, Irish sales fell by 10 percent, the biggest decline in Europe. “Eastern Europe had the best markets in 2017,” Munoz said, noting that there were about 800,000 vehicles sold in the region. Sales in Norway may have offered a glimpse at the not-so-distant future. Driven by generous government subsidies for alternative-fuel vehicles, 52 percent of cars sold in 2017 were electric or hybrid, according to the country’s automobile association, ORV. About 20 percent were full electric. Of the top 15 selling models, only one, the Volvo V90 diesel in 15th position, had a traditional internal combustion drivetrain.